As we approach the February 25th launch of the Samsung Galaxy S9, it's become apparent that the USP for the Korean company's latest flagship will be its "reimagined" camera(s). Perhaps that's because there's little else to focus on in an iterative update with few outward-facing improvements that the marketing department can really do anything with. There is a chance, however, that there will be some truly exciting enhancements that could see the camera on new devices compete with the Pixels and iPhones of this world. 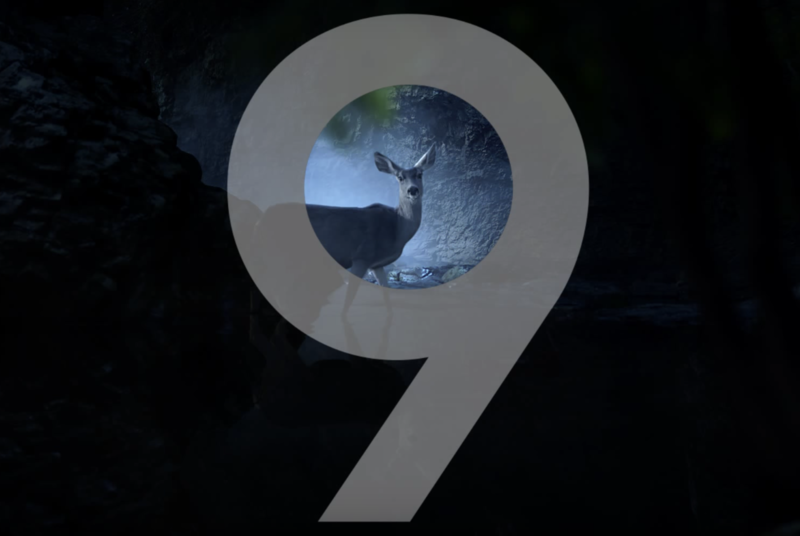 Samsung certainly wants us to believe the hype, and this has been further illustrated by four new teaser videos that have emerged, all of which highlight the capabilities of the new camera system on the S9. The larger sibling, the S9+, will have dual cameras on the rear this time around, so we can't be sure whether the videos apply to one or both of the different variants. Three of these videos have been uploaded to Samsung Mobile's Korean YouTube channel. The first one centers on how the camera will perform in low light conditions. The video avoids any specifics, but the lighting up of the deer at the end suggests there will be some magic to help produce better low-light photos. Whether or not that will be flash-related or something in the software, we'll have to wait and see. The second video powers through fast-paced action sequences before slowing everything right down at the very end. On the previously leaked box, we saw references to both "Super Speed" and "Super Slow-mo," so I would bet this video is alluding to one or both of those points. Video number three on the SamsungMobileKorea YouTube channel is all about the front-facing "selfie" camera. If the leaked box is to be believed, it'll be an 8MP sensor with autofocus. Yesterday, we heard some interesting things about potential features of the S9, including personalized 3D emoji created by recording yourself with the front camera. In other words, Samsungs attempt to imitate Apple's Animojis. Right at the end of the below video, inside the number 9, we see a pretty clear nod to this feature. Finally, the president of Samsung Italia also shared a teaser video via his Twitter account. Carlo Barlocco's post says we'll soon "learn to imagine it all over again," and the video that follows is a more general trailer for the camera on the new phones. Make of it what you will. The emoticons flying into the guy's mouth could be another hint at what the 3D emoji feature will be able to do, or it could just be something dreamed up in marketing. Either way, it's intriguing, and we'll find out soon enough. We'll be in Barcelona for the official launch during MWC in a week and a half, so stay tuned to see what Samsung has in store at its latest Unpacked event.